UPDATE: Ellenbrook Police have called for witnesses to report any suspicious behaviour near where yesterday’s Ellenbrook fire started. A tweet from the Ellenbrook Police account said officers were keen to talk to anyone who saw anything unusual in the area near The Broadway and Elmridge Parkway yesterday afternoon. The fire burnt four hectares of bushland and Arson Squad detectives say the fire was suspicious. 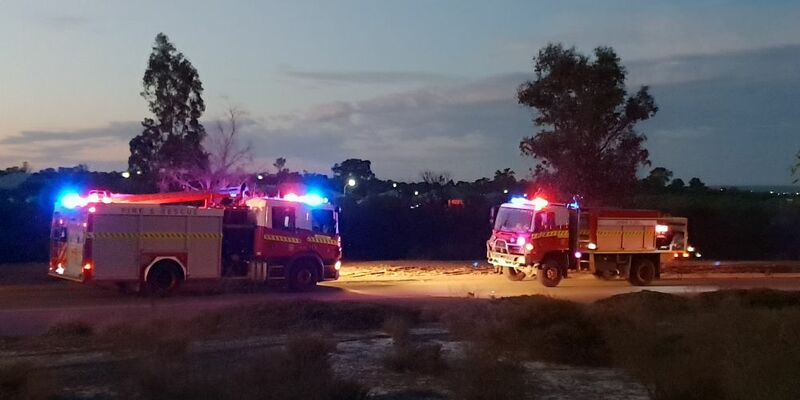 FIRE fighters are continuing to monitor the bushfire that started in Ellenbrook yesterday, however it has been contained and is under control. A bushfire advice remains in place for residents north of The Broadway, south of Farmaner Parkway, west of Elmridge Parkway and east of Addingham Drive. There is no threat to lives or homes, however there is a lot of smoke in the area. Residents should remain aware and keep up to date in case the situation changes. The fire was reported yesterday afternoon at 2.24pm near the intersection of The Broadway and Elmridge Parkway. The Broadway has been closed to drivers between Galatea Pass and Elmridge Parkway. Elmridge Parkway has been closed between The Broadway and Farmaner Parkway. Fire fighters are continuing to monitor the situation.